Hindustan Aeronautics Ltd (HAL) and Pawan Hans Ltd (PHL) today signed an MoU to establish a joint venture firm to carry-out maintenance work related to all types of helicopters and address the needs of defence and civil markets in India and other countries. According to a statement issued by HAL, the MoU was signed at a programme held at the ongoing India Aviation-2016 here. Civil Aviation Minister Ashok Gajapati Raju, Rajiv Nayan Choubey Secretary, Ministry of Civil Aviation, T Suvarna Raju Chairman and Managing Director HAL, B P Sharma CMD of PHL were present on the occasion. The business of the JV will be conducted in the best interest of the customers based on sound commercial principles, the statement said. According to the MoU, both the companies will form a joint working team and conduct detailed studies, work on business plan, time-line and other required documents for the success of the venture. HAL has been manufacturing and overhauling its Cheetah or Chetak and Dhruv helicopters besides providing support while PHL is the largest civil helicopter operator in the country. The fleet size of helicopters in civil segment in India is expected to go up to 800 in the next 10 years. 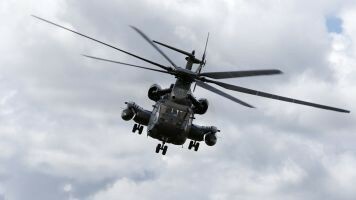 In addition, there is expected induction of 600 helicopters in defence, it said.